While the LNG industry is just half a century old, it is playing a significant role in the global energy market. 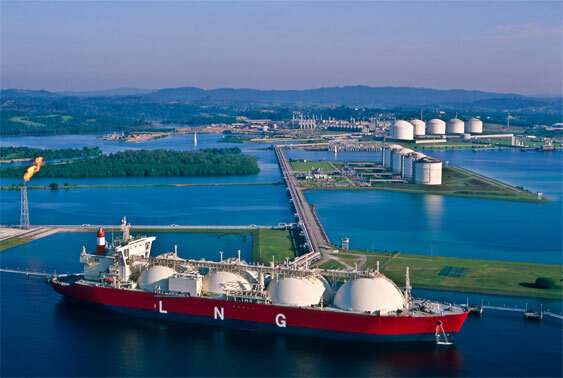 The LNG market has shown growth in 2018 propelled by the continued environmental emission concerns and the use of LNG in the industrial and transport sectors in Asia. LNG is poised to become the fastest growing sector of the overall gas market. However, LNG facilities face a host of critical constraints affecting their bottom line profitability. - Process Disturbances – Rapidly changing inlet conditions such as feed rate and composition have a significant effect on LNG plant processes, thereby making optimum control of these facilities very challenging. - Process Coupling – Control of the scrub column influences both the fractionation and liquefaction sections of the plant. The downstream fractionation section distillation processes are also highly interactive. Both the top and bottom of the towers cycle under normal regulatory control solutions. - Process Constraints – Units experience different equipment limitations called process constraints, which vary on a daily and seasonal basis. For example, the deethanizer and depropanizer pressure control are constrained by ambient temperature variations. Fin fan cooling duties can be greatly impacted by ambient temperature swings. A key trend in managing these constraints is the use of Advanced Process Control (APC) and optimisation to address the different factors impacting performance and profitability. From field sensors to boardroom information, the choice of control and automation technology impacts almost all aspects of an LNG operation. Automation strategies have become a crucial element for aligning business needs with operating practices to achieve success. Experience shows the application of APC technologies such as multivariable predictive control and real-time optimisation can significantly improve LNG production throughput, optimise NGL production, and minimise energy consumption. APC can boost LNG processing capacity by 1-5%. The technology is key to maximising throughput and the extraction of LPG from LNG and condensate, and is an enabler of component shifting to maximise the more valuable product mix within LNG contract specification tolerances. It also helps minimise energy consumption in distillation columns, and reduces refrigerant usage through effective temperature profile control across mix refrigerant cryogenics heat exchangers. LNG producers can optimise refrigerant compressor load by maintaining optimum composition of mix refrigerant. The latest APC technology allows LNG producers to address process-specific problems and lower lifecycle costs, while easy implementation enables faster ROI that can be sustained as skill sets and workforce capabilities change. Both on-premises and cloud-hosted solutions are available, depending upon the specific application requirements. APC solutions are intended to eliminate variability for more stable and reliable process performance. Robust algorithms can be deployed to ensure process equipment operates within defined limits, and at the same time, capture skilled operators’ insights and expertise. In addition, they can push plant processes toward consistent, optimum operation, and sustain long-term control improvements. LNG producers can also coordinate the plant optimisation model with APC control models across their site. This includes integrating different solutions in a unified optimisation framework: controlling product inventories, manufacturing activities, and product quality; and reproducing off-line planning optimisation online and in real time. Furthermore, advanced monitoring capabilities help LNG producers understand what limits APC applications from driving units to realise their best potential. They utilise connected assets to determine how well APC is performing, and determine how unit performance can be improved to increase profitability. Monitoring solutions can also be used to quantify APC benefit erosion due to disturbances or equipment issues, identify lost opportunity cost and asset performance, and prioritise limiting constraints by financial impact. Inlet Separation – The separator provides dry gas to the CO2 absorber. This is typically a three-phase separator involving gas, liquid hydrocarbons and water. The vessel dissipates flow disturbances by catching liquid slugs. APC can enhance the vessel’s ability to absorb disturbances. 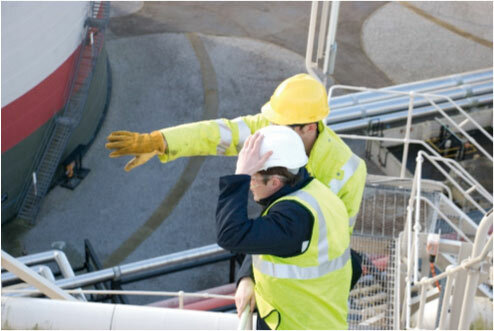 CO2 Removal – The goal in an amine unit is to maintain acid gas specification in residue gas. However, the amine unit inlet is subject to variations in flow as well as variations in acid gas concentration. Typically, an operator will maintain a relatively high lean amine flow to handle these variations. This higher flow will then cause the downstream still to be driven harder, resulting in excess energy consumption. If the control system can anticipate inlet acid gas concentration changes and flow changes, and how the relationship to amine flow is affected, then the flow can be optimised, thereby optimising fuel consumption at the still. Scrub Column – The scrub column removes heavy hydrocarbons from the LNG feed. APC is used to control the LNG and LPG production split and quality. Overall throughput can be enhanced via constraint pushing, and a higher level of optimisation can be achieved through linking the scrub column APC to the APC for the Main Heat Exchanger. This optimisation opportunity arises due to the trade-off between heavies in the MHE stream vs. the LPG stream. The decision is made at the scrub column and is influenced by component product values, product specification and MHE constraints. Fractionation – Fractionator operators will typically set the reboiler temperature to be well within bottoms specification and then modulate reflux. Even though automatic regulatory control of fractionators has improved, fractionator processes in a typical train are highly coupled. A multivariable model is capable of making several control moves at once to maintain compositions close to product specification. Maximising profit from the combinations of products produced from a fractionation train depends on several factors, including market, seasonal demand and fuel costs. Liquefaction – The goal of the liquefaction unit is to maximise production. In this unit, there is significant interaction between key variables, making cascade control difficult to maintain in automatic at varying feed rates. APC tracks these disturbances and pushes the constraints better by making simultaneous moves sooner than most operators, and more often. The LNG industry requires effective solutions addressing all aspects of advanced control and optimisation, from improving regulatory loop control to optimising the entire process. The use of this technology is essential for enabling faster responses to changes in business demands. 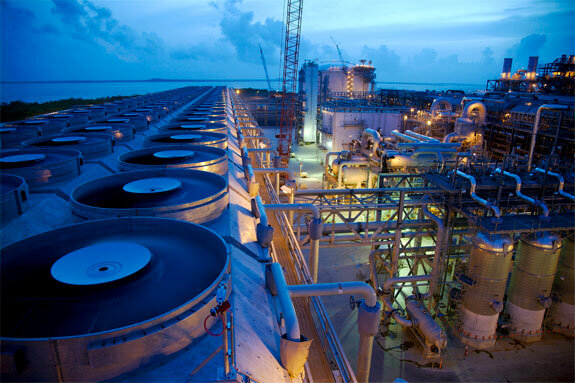 Honeywell’s suite of advanced applications takes advantage of hidden opportunities in LNG process to achieve optimal advanced process control and profitability. APC and optimisation solutions employ a unique layered approach, effectively matching the user’s needs with the appropriate, scalable optimised solution. It aligns the inherent process constraints with multiple process objectives.